Description (ebay): Height - 6 in. 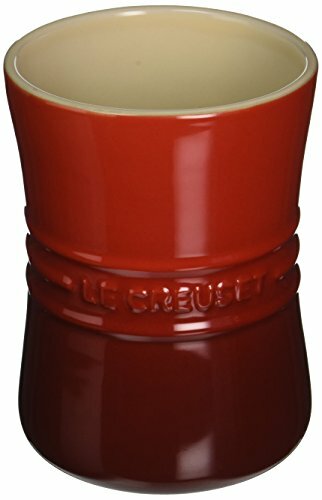 The Le Creuset Stoneware Utensil Crock is much more than just a crock. It can be used to serve ice cream at a birthday party, filled with ice at your next cocktail party, or used to create a centerpiece by adding your favorite flowers!